The N-series uses rotational symmetry to explore the relationship between organic form and negative space. The pieces are fabricated by means of a stacked-lamination process, then sculpted by hand to achieve their final shape. 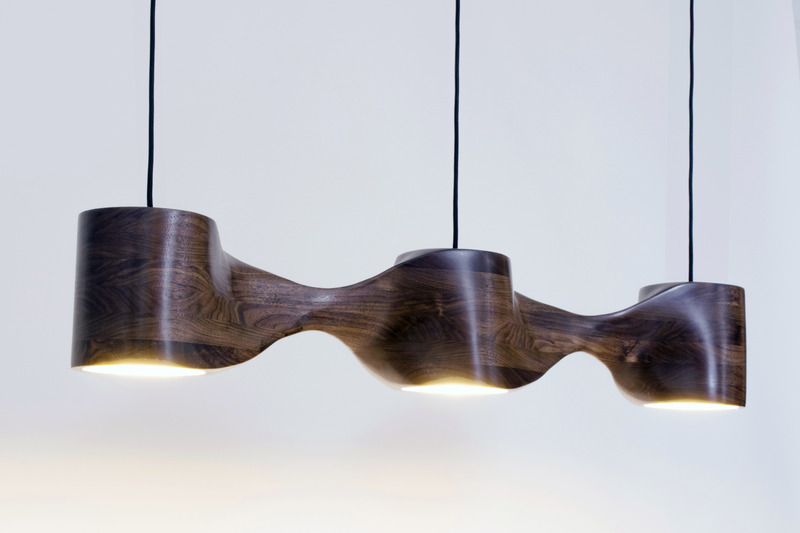 Through careful attention to engineering, the wood becomes essentially a plastic medium, capable of taking on highly intricate, eccentric forms, without compromising its strength or stability. 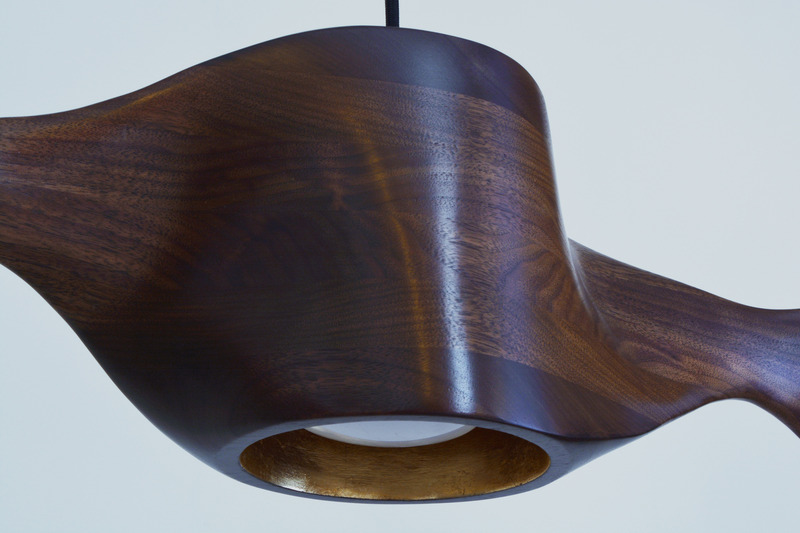 The N-Au lamps are open at the bottom, and the interior of the lamp housing is wrapped in gold leaf. 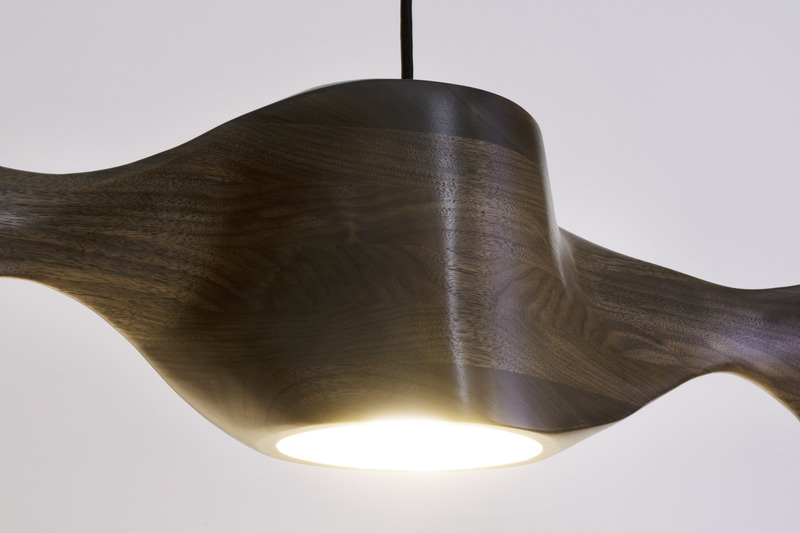 The new design imparts a warm, lush glow to the light, and offers a striking contrast between materials, surfaces, colors and textures.The lamps are available in a variety of wood species (white oak, ebonized oak, black walnut, bleached cherry), and come in a double, triple, and chandelier versions. The lamps use dimmable LED bulbs, with wattage up to 75 equivalent.